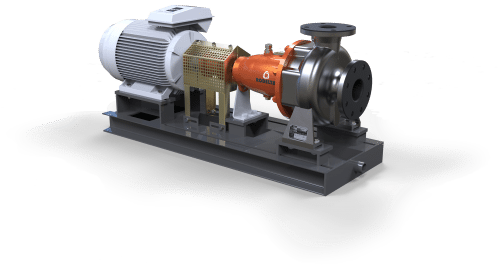 The OH1 type, SHM is horizontal end suction non-clog pumps having single stage, single suction with back pull out type design. 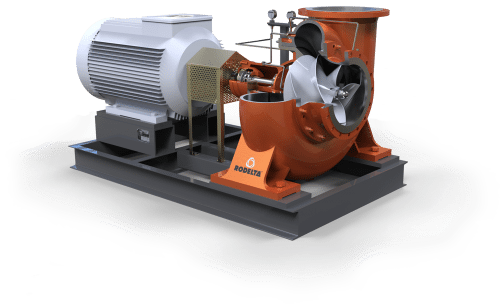 The impeller is single suction type non-clog, free flow dynamically balanced. For SHM pumps the standard lubrication is grease and the optional one is oil. 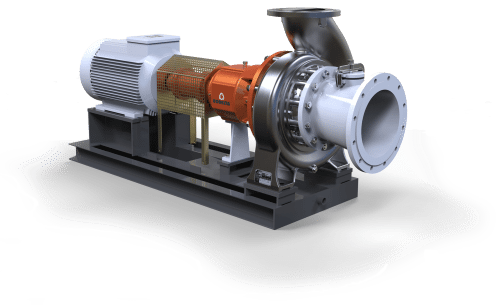 These pumps are widely used in paper industries, water carrying gravel and so on. For handling liquids with solids in suspension, sludge or pulpy material in Paper Industries, sewage or waste with soft solids in suspension, viscous liquids or liquids carrying fibrous material or powdered material slurries, contaminated process liquids like Sugar factory waste, trade liquors, Water Carrying Gravel, etc. 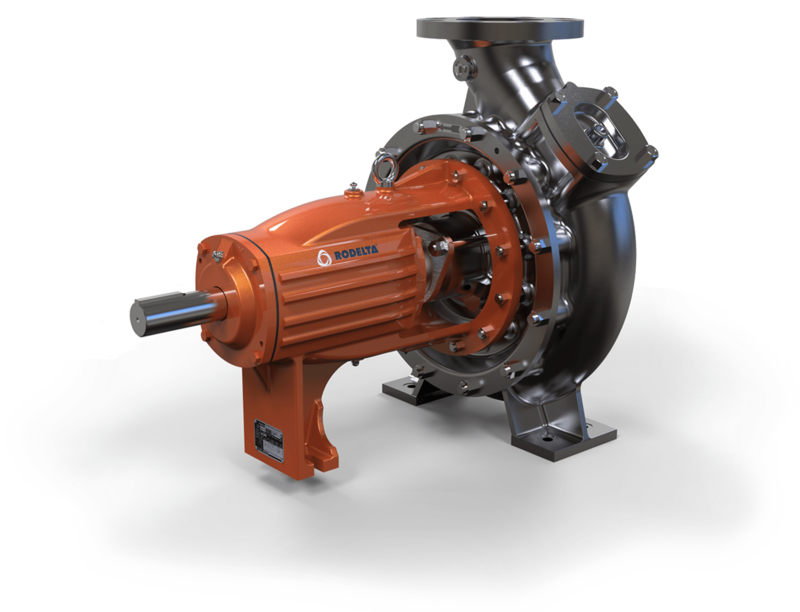 End suction with top centerline delivery as well as horizontal side delivery. High efficiency volute providing smooth unobstructed flow. Delivery flange and feet are cast integral with the casing. A large inspection opening is provided on casing with easily removable cover. 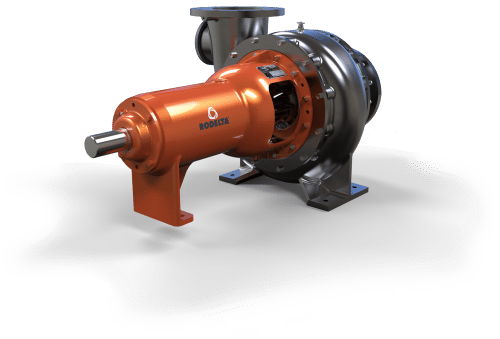 Single suction type non-clog, free flow impeller dynamically balanced. 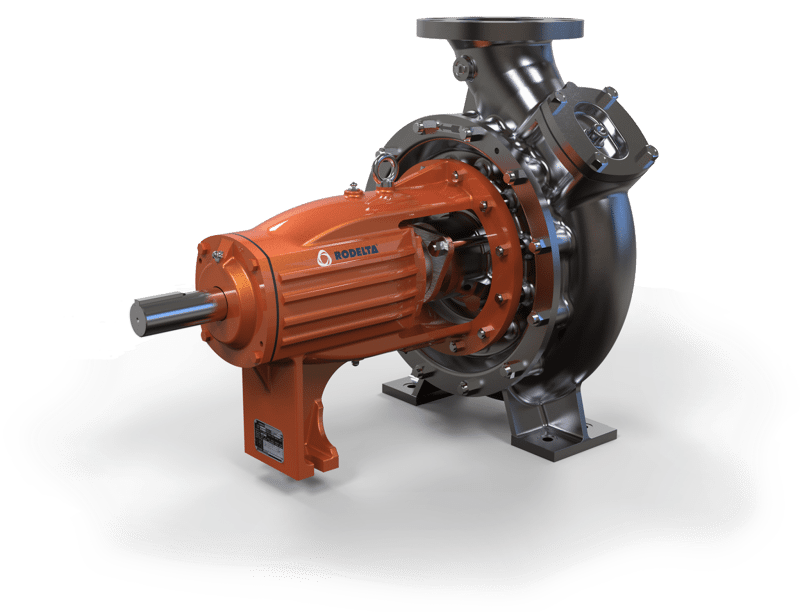 Enclosed or semi-open impellers are available in code N, P, Q or R.
In SHM pumps, four driving units cover the entire range. Shaft is supported by two bearings. Shaft in stuffing box area is protected by a shaft sleeve. Axial clearance between semi-open impeller and suction wear plate can be adjusted externally without dismantling the pump. The shaft sleeves under bearing housing and bearing spider are shrunk fitted to shaft in SHS pumps. Standard stuffing box is gland packed with grease sealing. Without cooling up to 90°C and with cooling up to 140°C. Mechanical seal option is also available. – Standard: Deep groove ball bearings at DE/NDE. – Optional: Deep groove ball bearing at DE and roller bearing at NDE.A pair of angular contact ball bearings at DE and one cylindrical roller bearing at NDE. Standard lubrication is grease and optional is oil. These pumps are suitable for coupling with electric motor or engine directly or through belt drives. – Standard: drilling to DIN 2533 ND 16.